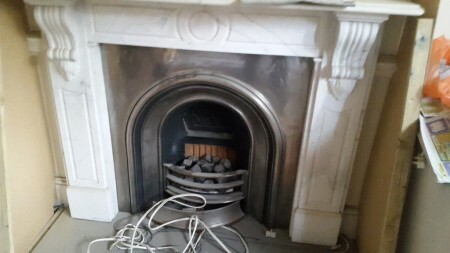 This was a successful fireplace renovation in Balham. The Billington Partnership removed the existing cast iron insert and replaced it with a Beaumont stove in black from Chesney’s. 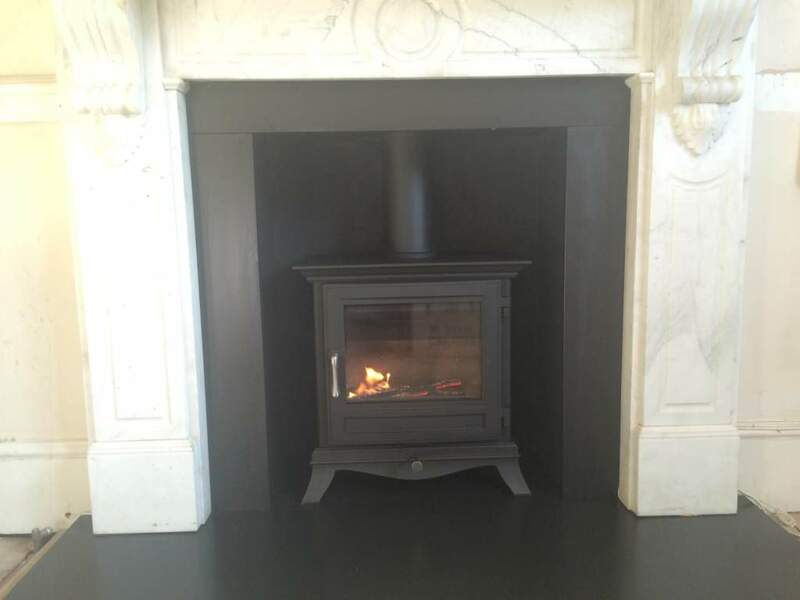 Chesney’s Beaumont stove, with its elegant refined appearance, looks at home in the most sophisticated of interiors. This design includes swept cabriole legs as well as a corniced top section; features not found on other stoves. The Beaumont 5KW wood burning stove is DEFRA exempt for use in smoke control areas which means it can be safely and legally used to burn logs in all major cities and towns throughout the UK. Net efficiency rating 84.5%. Available in black, ivory, sage green, atlantic blue, terracotta and silver finish. 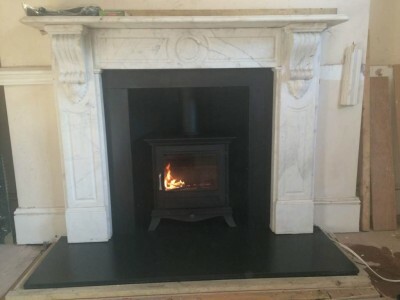 Also available as a 6KW and 8KW solid fuel stove. If you would like a Beaumont stove installed in your home, please contact us for a no obligation free quote.